Have you seen our price match policy? 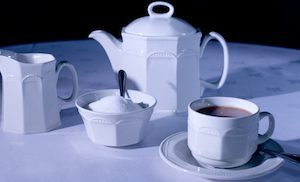 Devon Vintage China has established a wonderful collection of high quality English vintage china in the South West of England over a number of years and now holds an outstanding selection of vintage china for hire and customer service. Our new Catalogue has now been launched. Therefore please explore this new website for lot’s of exciting new changes for vintage china and furniture hire in Devon, Somerset, Dorset, Cornwall, Bath and Bristol. 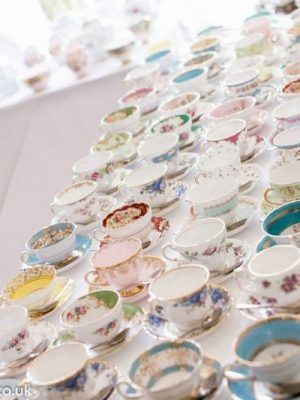 To compliment our outstanding range of high quality English vintage china, we can now offer a fully comprehensive range of all the catering equipment and furniture hire that you may require for a vintage high tea, wedding breakfast, or birthday party. We even do all the washing up, so why not get a no obligation quotation today? If you are looking to hire tables and chairs for your 2019 wedding, or party and want a natural look to your event, then why not consider hiring our vintage table, bench and chair hire. No need for table cloths to cover the tables, but you may want to consider a table runner to complete the table dressing. Alternatively we can supply a wide selection of tables for hire and supply the tablecloth and napkin linen hire. Do you want to see what we have in store today? SHOP NOW! Devon Vintage Hire is a premier supplier of “Vintage Crockery Hire” and “Vintage Rustic Furniture Hire”. Ideal for a Tea Party, Birthday, Wedding, and Corporate Events in the Westcountry covering Somerset, Dorset, Devon, Cornwall, Bath and Bristol. Our selection of high quality vintage china and vintage furniture offers a fantastic selection of the finest range available. We offer top quality party equipment at a competitive price, for short term, weekend and long term hire. Delivery and collection from the Yeovil area, or from our Exeter warehouse. Party Furniture, Party Bar, Bistro Furniture, Chair Hire, China Hire, Christmas Party Furniture, Cutlery Hire, Dance floor Hire, Glass Hire, Party Marquee Furniture, Outdoor Furniture, Linen Hire, Patio Furniture, Presentation Tableware Hire, Table Hire, Village Hall Furniture, Wedding Reception Furniture, Vintage China Hire . Axbridge, Bath, Bristol, Bridgwater, Bruton, Burnham on Sea, Castle Cary, Chard, Clevedon, Crewkerne, Frome, Glastonbury, Highbridge, Ilminster, Langport, Midsomer Norton, Minehead, North Petherton, Portishead, Shepton Mallet, Sherborne, Somerton, Taunton, Watchet, Wellington, Wells, Weston Super Mare, Wincanton, Yeovil. Beaminster, Blandford Forum, Bridport, Dorchester, Ferndown, Lyme Regis, Poole, Shaftsbury, Sherborne, Stuminster Newton, Swanage, Wareham, Weymouth, Wimborne Minster. Devon Vintage China, is part of South West Event Hire Ltd.